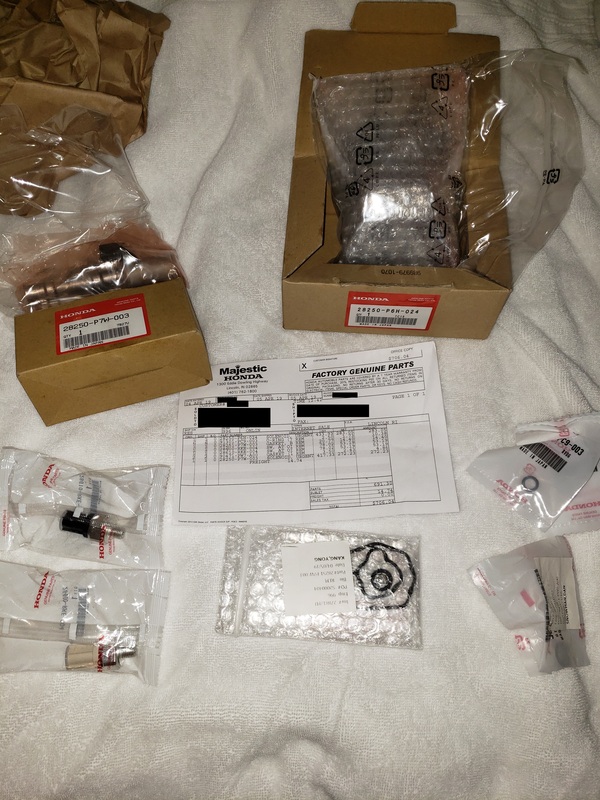 Drive Accord Honda Forums > Honda Accord Main Forums > The 7th Generation > comparison OEM vs aftermarket 3rd & 4th gear pressure switches, solenoids, etc. 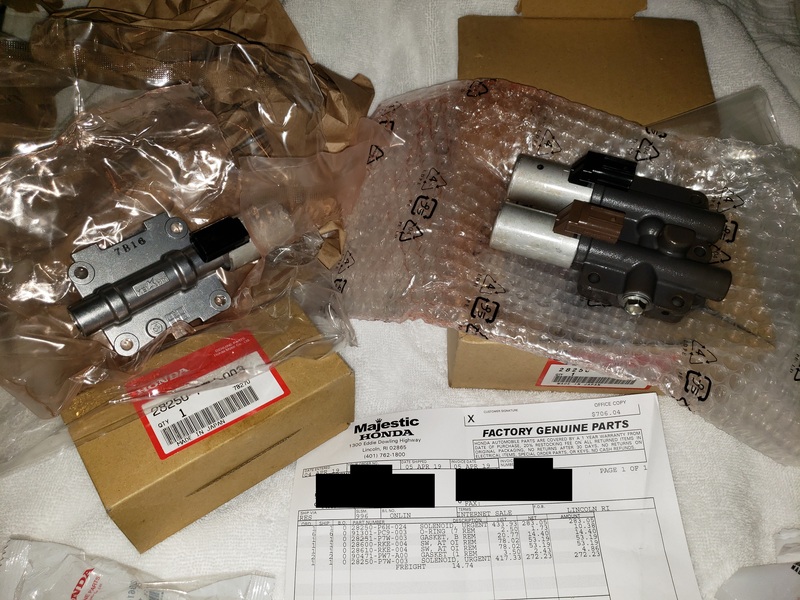 comparison OEM vs aftermarket 3rd & 4th gear pressure switches, solenoids, etc. will post results when done. 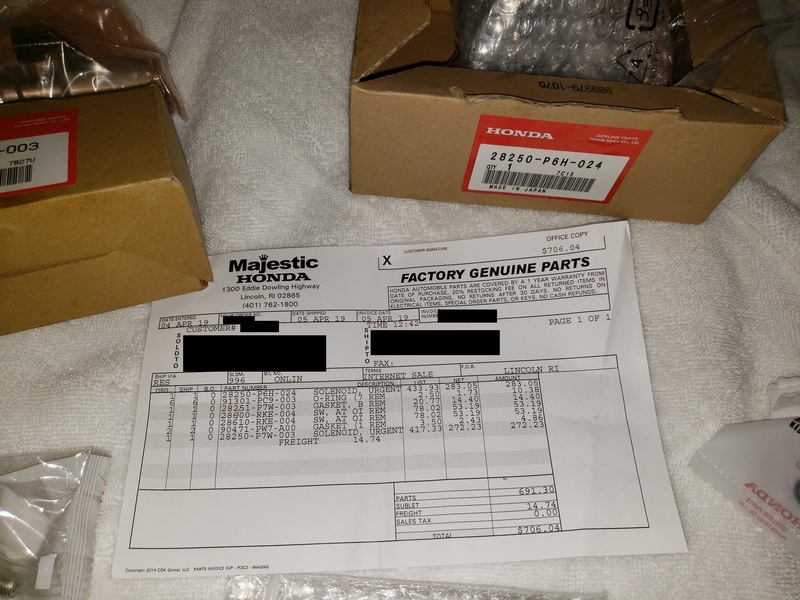 I mainly searched 8-10 Honda Online sites, Hondapartsnow, etc. How "harsh" are the shifts? Aftermarket solenoid might not be aftermarket, but re-tuned OEM units. The B/C solenoid from Sonnax has the screws at the end turned so that shifts don't glide over but bump over for less clutch pack wear. This is not necessarily a bad thing. All my shifts are way firmer after the rebuild. 2i2dk1ny2i3 and slimm1469 like this. i had a "crisp" shifting Solenoid for only a short time before 2nd transmission went so i do have a point of reference between "harsh" "glide" "crisp"
The "slide-bump" symptom seems to be what you are talking about or gear holding a second then shifting into the next gear? That's a problem with the original valve body of the BAYA transmission. 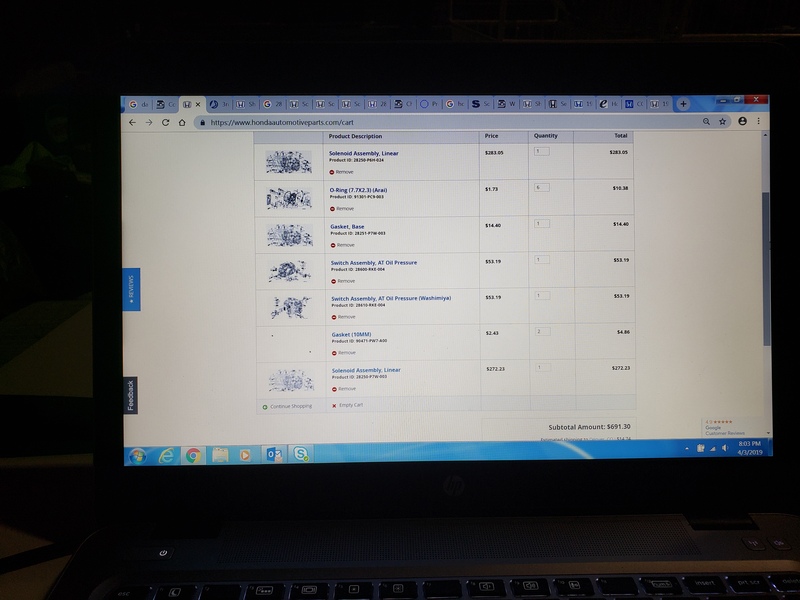 This is why I proposed to you to have your original trans rebuilt with the translab shift kit installed, instead of spending $2500 getting a used one installed then another $691 on solenoids. Those new solenoids most likely will not fix the problem you are experiencing.